Purchase our private and undetected PUBG hack with aimbot, wallhack, ESP and triggerbot. Our hack is available for PC, PS4 and Xbox One. Sneak passed anti-cheats with AnonymousCheats PUBG hack for PlayStation, Xbox and PC. 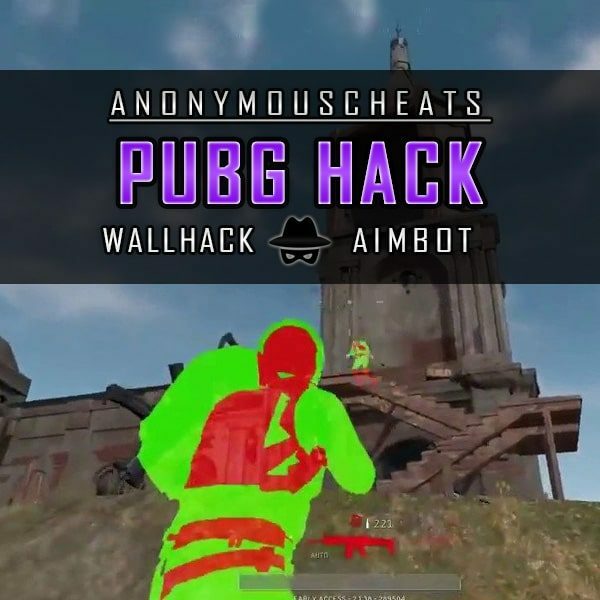 While there are many random hacks whose use can easily get you banned from the game, AnonymousCheats provide you with virtually undetectable PUBG hacks with aimbot and wallhack features. These two hacks blend together so well to execute a deadly ambush on unsuspecting enemies. For instance, once you spot an enemy through a wall using the wallhack, you can set him up by waiting for him to come out of the wall shield and when he does, use the aimbot to deliver that perfect headshot. Nothing feels more clinical and satisfying than that. Use of cheat codes or hacks in PUBG (Player Unknown’s Battle Ground) is well-settled. Since the game began, PUBG has even banned almost two million players who were found to be using cheats! But as is the usual story, many of them still continue to keep using cheats to improve their in-game character’s stats and rank, or some just use it to annoy other players for the fun of it. 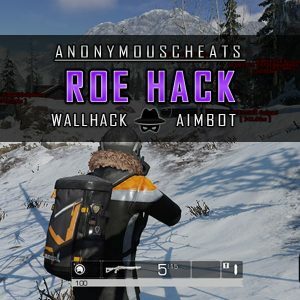 The two significant PUBG hacks provided by AnonymousCheats are the aimbot and the wallhack. Both these hacks are very popular in many games where aiming and shooting forms a crucial part for stats development. 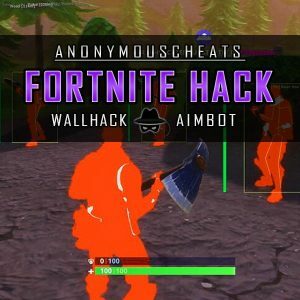 As you must be knowing well by know, aimbot helps you in taking that perfect aim for targeting an enemy, and wallhack helps you to see through walls and other objects which are obstructing your view. For a person to become a great player in PUBG, it takes a lot of time, effort, and dedication. We won’t say that using the aimbot is a shortcut to greatness, but it will undoubtedly propel your status. Even if you’re new to the game, using our aimbot will significantly improve your gameplay. What our PUBG aimbot technically does is that a mod or simply a bot will automatically aim and shoot any enemy in your line of sight. It is as simple as that! For a newbie to the PUBG game, you’ll be like a lump of fresh meat thrown to the hungry canines. Your aiming will be pathetic, let’s admit that. 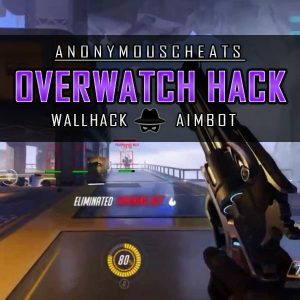 So, in order to shift the tide in your favour you can use our aimbot hack to prevent yourself from becoming easy prey. This can eliminate any assumption from other players that you’re a noob. With our aimbot, it is highly unlikely that you will miss an enemy. The aimbot is also duo or group friendly making your teammates safe and secure from your deadly aimbot. However, since an automatic aim and shoot may take some fun away from your game, you can always calibrate your settings to your likings. For instance, you need not opt for headshot always, as this will raise suspicion amongst other players that you’re using a hack. You can also keep some time lag between aiming and shooting as this is what you would usually do without a hack. Opting for these kinds of settings will bring more authenticity to your gameplay. We would only like to state that despite the massive advantage that aimbot may offer, after continuous use of it you may discover that your winnings aren’t that rewarding. Well, not everyone may feel this, but for those who do, you can always calibrate your settings to make your gameplay more real. You can turn off some settings or adjust them with the options provided by us. This way, your chicken dinner feels more rewarding for the effort put in by you. Another factor that affects your gameplay is the type of weapon you go for. Depending on the situation, you choose the weapon which is ideal for you. Some may feel comfortable with a sniper while some may feel more comfortable with an assault weapon. Without an aimbot hack, you have to deal with these weapons in a limited manner to suit your situation. But with an aimbot, it doesn’t matter what weapon you choose, either with a sniper or an assault rifle you can be comfortable to run around the map and kill anyone who falls in your line of sight. There are many features included in our aimbot hack. You can opt for an instant kill on any enemy lurking around. You can also opt for the triggerbot feature which means once your crosshair detects an enemy, your weapon will automatically lock in on your target and shoot without needing you to press any button. There are also features like bone prioritization, penetration checks, movement prediction, advanced bone aimbot, and visible target settings. With all these options, we guarantee that you won’t be disappointed. Once our aimbot hack is activated, there is nothing much your enemies can do. They may try to run away, but that will not be possible either. The aimbot will perpetually lock in on your target, and it is up to you on how to finish your enemy. Wallhack is like the “right-hand man” of aimbot. It essentially gives you an Extra Sensory Perception (ESP) of your surroundings enabling you to see through walls or any other object blocking your virtual view. This PUBG wallhack coupled with the aimbot will undoubtedly make you the ultimate killing machine! What our wallhack basically does is it scans the map for you and highlights whatever element is crucial to the game for winning the chicken dinner. This includes players and other goodies like cars, supplies, trees, houses, etc. When it comes to other players, none can escape the watchful eye of our wallhack. No player can hide from the wallhack as you can see them through walls or other objects that may be obstructing your view. The wallhack simply highlights the location of the enemy, and you can easily take them out. But to keep it real, you can wait and track their movements, and once you detect them through any openings, you can execute that perfect ambush. While highlighting the enemy players, their names, the distance between you and them, and their health will also be indicated. Whichever way you want to take out your enemy, be it sneaking upon them or ambushing them or flanking them, you can strategically execute any tactical moves with ease and confidence. When it comes to the goodies, it gets better and more fun using wallhack. Our wallhack will highlight almost anything that you need in the game. As part of the game, you are required to enter buildings to search for supplies and weapons. Sometimes you’ll find a great stash, and sometimes you’ll find nothing. While doing this, many players also get killed when they are entering or exiting or even inside the building. This can get pretty frustrating. But with our wallhack, looting items become a piece of cake as the hack will display precisely what items are inside the building! This can be a backpack, medikit, weapons or armor. This means you don’t even have to enter the building if our wallhack displays no item or items that you don’t need. Our wallhack will also highlight supply drops with AWPs, OP weapons, and explosives, thereby allowing you to obtain the ultimate weapons in the game with little or no risk in the shortest possible time. You obviously know that to win the chicken dinner, you need immediate access to good weapons. Without the wallhack ESP, you run around like a chicken with its head cut off and in the process, you’ll probably get yourself killed. You’re even scared to enter into a building to loot as there may be campers plotting their strategy. So, as you can see, you expose yourself to all sorts of risks. Using our wallhack will instantaneously eliminate all these risks and allow you quick access to the best stash and weapons. In order to use the PUBG hack on PS4, you’ll need an empty USB flash drive to put the hack on. The cheat file itself is very small, so you won’t need an expensive drive. To use the hack on Xbox One you’ll follow the same procedure as for the PS4. The only difference is that you’ll need to format the USB flash drive into NTFS. Again, you don’t need any expensive flash drives since the hack is very small in size. Using the PUBG hack on PC is probably the easiest of them all, since you won’t need any external USB drives for it to work. Simply unzip the hack on your PC and run it! Only a few websites out there offer genuine hacks which cannot be detected. As already mentioned above, ever since PUBG started the developers have already banned almost two million users which shows the seriousness of PUBG Corp. The ban deployed by PUBG is quite extensive that it reaches tens of thousands of users per month. The popularity of PUBG is so huge that everyone who gets engrossed with the game wants a piece of that chicken. To see that flash “Winner Winner Chicken Dinner” on their screen, many have gone to great lengths. Unfortunately, the majority of them use free random websites to obtain their hacks which are easily detected by BattlEye. While there are uncountable free websites wanting a piece of their share, all of them are futile. Whatever it is that you do to escape the anti-cheat software of BattlEye, you’ll eventually fail miserably if you’re using free hacks. If you are in awe of professionals in PUBG, take a step back and rethink that. Human skills with this game can only reach a certain limit as no one has extra beneficial fingers, hands, or eyes. So, everyone who is at the top of the rank in PUBG is either using one hack or the other. So, what are you waiting for?! 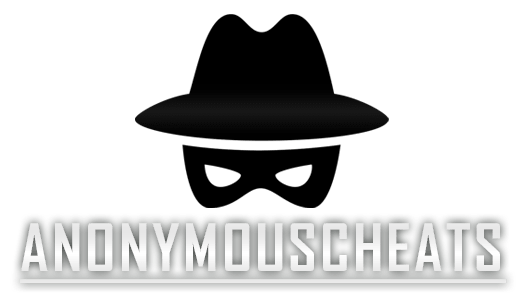 At AnonymousCheats, we provide protection which you couldn’t even have imagined. After putting in so much effort into your character and watch it grow with you, it will definitely be super frustrating if your character is banned. Even though you can always create a new account, all your efforts result in wastage. To entirely eliminate this predicament, AnonymousCheats offers the ultimate protection against – Spectators, Video proof, and the granddaddy of them all, BattlEye.